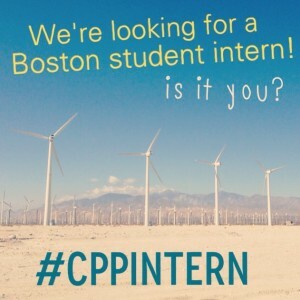 CleanPowerPerks, the web-based clean energy marketing program that rewards people + businesses for consciously choosing clean power, seeks a well-rounded, part-time Boston area student intern (undergrad or graduate) for the spring 2014 semester. Our intern will split time between working from our office at Impact Hub Boston in Kendall Square and remotely. The CPP Intern will work alongside our Founder/CEO and support all sales + marketing activity. Since we are an early-stage startup, (s)he will also assist in startup-related and administrative tasks. This internship is for you if you are interested in: sustainability, green marketing, clean energy, sales, marketing, entrepreneurship, social enterprises, consumer products, e-commerce, tech or startups. You are fluent in internet research. You are active on social media and current on the latest digital tools. You take pride in your work and aren’t afraid to ask questions. You are a good communicator (but don’t talk too much or write super lengthy emails). You don’t mind working alone. You consider yourself to be an idea person. You have a positive outlook. You aren’t above doing what needs to get done. You’re pleasant to be around and would describe yourself as unique. You are detail-oriented and like working. You are excited to build something new. And most importantly, you are excited about clean energy, choose to support responsible brands and care about a sustainable future. Sales or marketing experience, graphic design skills, and/or website development/management expertise a major plus. We will gladly work with your college or university and complete the necessary paperwork to provide course credit (undergrad or graduate) for your CPP work. This internship is unpaid. 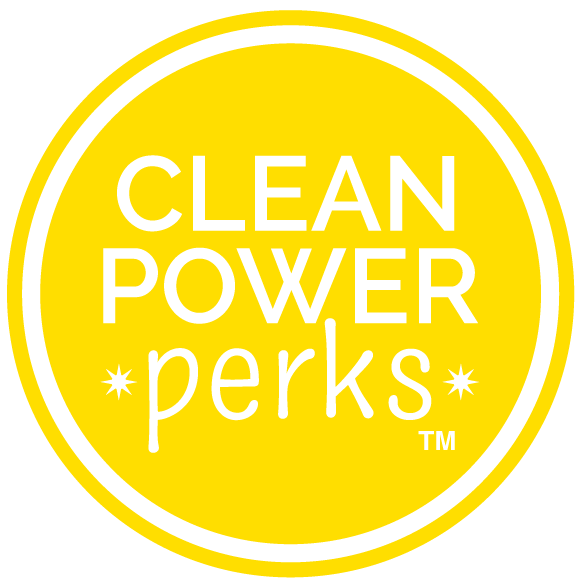 We offer a flexible schedule, mentoring, sincere appreciation + free CleanPowerPerks membership! Applications will be reviewed on a rolling basis. Internship to start as soon as possible.